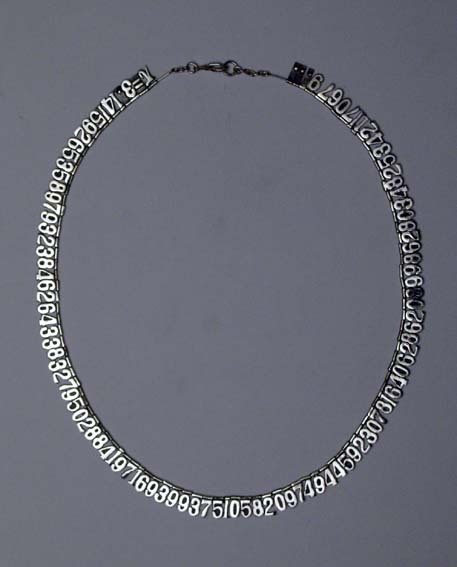 Kewl design alert: Geekiest. Necklace. Evar. Brilliant. Just brilliant. 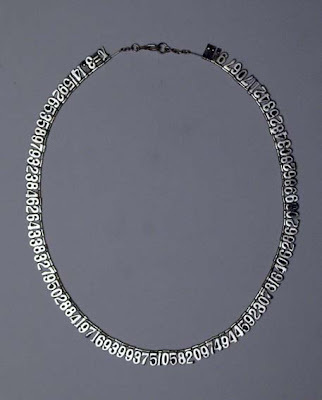 A necklace that is made up of the first 100 digits of Pi. I sent them an email inquiring about it. Will let you know if I find anything out. UPDATE: Got a crazy email from the company. Clearly ran it through some automated translator, but it was totally cute.